From €81.70 billion in 2017 it increased by 13% to €92.60 billion in 2018. 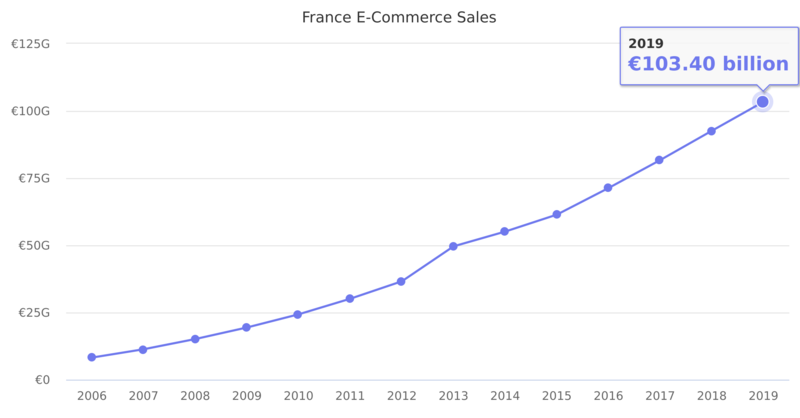 Source: French E-Commerce Federation (Fevad). Local currency used, not US$.